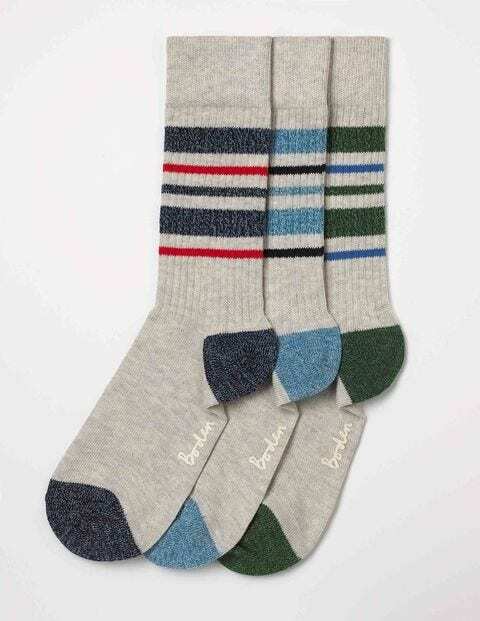 Treat your toes to some extra soft (and super colourful) socks and you'll never have cold feet again. We've made these better than ever before, with a finer yarn and tighter knit so they're just as cosy but not too chunky. Made from comfortable cotton, and with a touch of elastane so they don't slip down, you can wear them with boots, brogues or on their own during lazy Sundays.